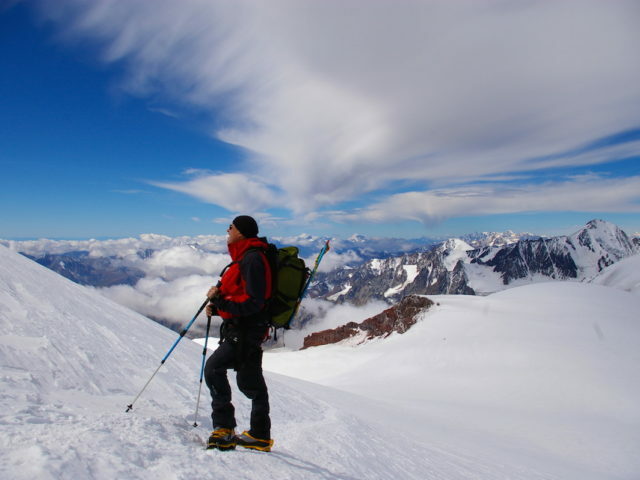 Why should you choose us to guide your Elbrus by weekend climb? First off, because you are going to entrust our guides to care for your very own life and health. Unfortunately, accidents do happen in the mountains, and having reliable people to safeguard and take care of you is crucial. Our hotel and our refuge on Elbrus slope – along with our own equipment and outfit rental (the newest and biggest on Elbrus foothill) – are all designed to provide for your high profile and safe rest. 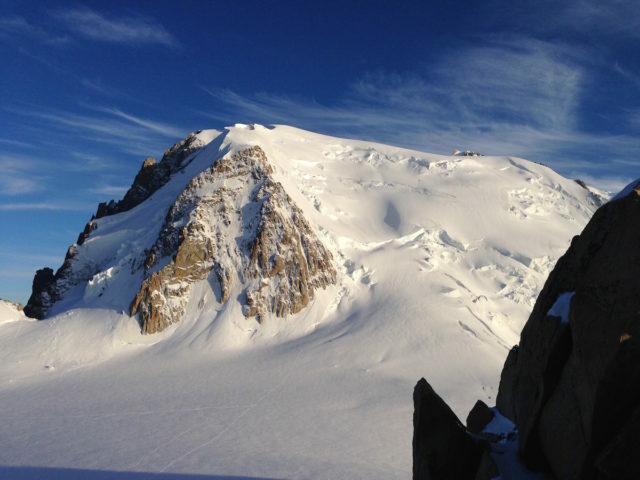 All expeditions mentioned in Schedule and Services section are available upon request, regardless of the number of climbers in group. We offer also programs for family vacation – rest and recreation for your family members while you are busy climbing Mount Elbrus. If you are short of time while being in good physical shape, this program is for you. Note please that if you have no high-altitude experience, we recommend you choose an Elbrus climbing tour with a longer duration. Otherwise, most probably this Elbrus by weekend tour will be a waste of money for you: we can take care of your safety but we cannot guarantee that you will be able to summit. Climbers often opt for this program as an addition to Kazbek climb. The advantage of technical simplicity of Elbrus climb turns into a disadvantage in bad weather – the mountain’s vast smooth slopes are very hard to navigate and find one’s way through in a snowstorm. And bad weather is quite common for Elbrus, which makes unguided climbing very dangerous. Our guides know all the routes in every detail, and know the right way of how to prepare for them. For climbers with sufficient experience and good physical shape, we offer the shortest schedule for climbing Elbrus’s West summit. The tour begins on Friday and ends on Sunday. Without doubt, an Elbrus climb of this kind is a considerable challenge even for seasoned climbers. For this reason, guiding the group will be our best guides who can help in any situation. 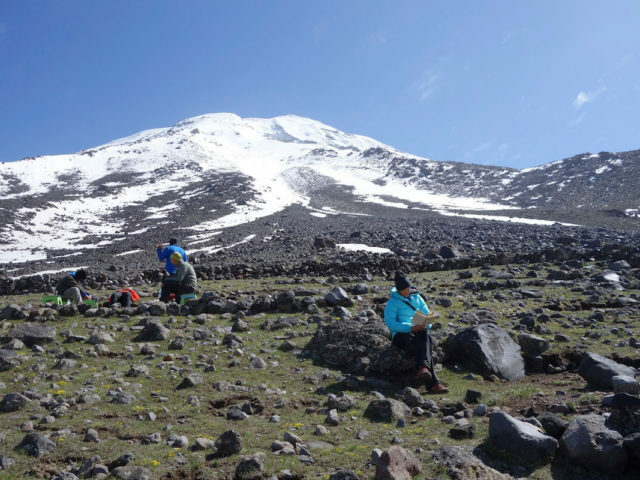 Three-Day Schedule for “Elbrus by Weekend” Climb. Day 1. Meeting at Mineralnye Vody airport and transfer to Elbrus foothill. It is also possible to take an early morning flight for the schedule’s second day (in this case you will have to take personal transfer). Day 2. Taking a lift ride to the refuge (at 3720m) and setting up there. Day 3. 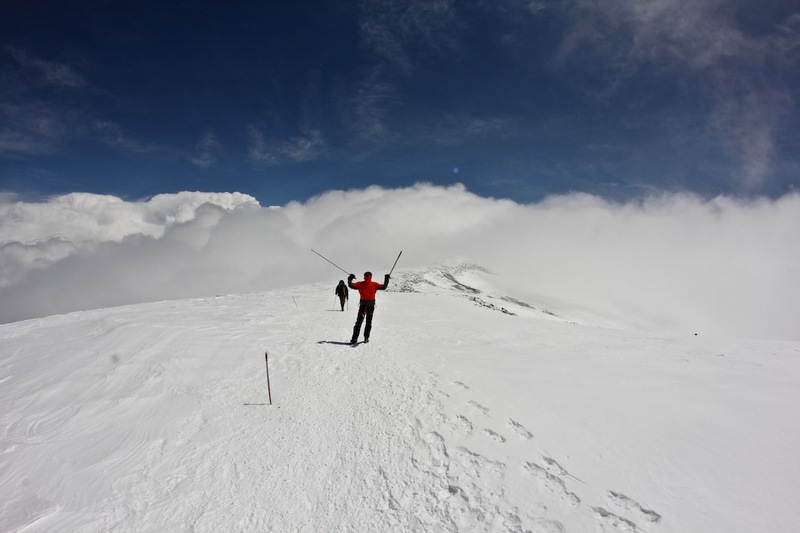 Climbing Mount Elbrus. Starting off at 2–4 AM (as the guide decides). Everest climb takes 8 to 12 hours on average. Part of the route during ascent and descent may be covered by Snowcat. The decision to use one should be made by 12 AM of the day before summiting. Descent to the valley, transfer to the airport (taking only flights after 9 PM). To give you peace of mind, the package tours we offer, as a rule, include all expenses you may face. Mountain guides: one leading guide for the program of Elbrus by weekend climb and several assistants for the day of summiting, with a strict proportion of one guide per three climbers. This means that if there are four clients in a group, we will provide two guides for them. There will be only one attempt of summiting. Accommodation in the refuge for the period mentioned in the schedule of this Elbrus climb. All transfers mentioned in the itinerary (including lifts) – from and to airport / station. Meals three times a day throughout the trip. Dinner on the first day, breakfast – on the last. All required permits and registrations. Equipment for the group (ropes, ice screws, radios, first aid set, satellite navigators/GPS). Any deviations to the original schedule. 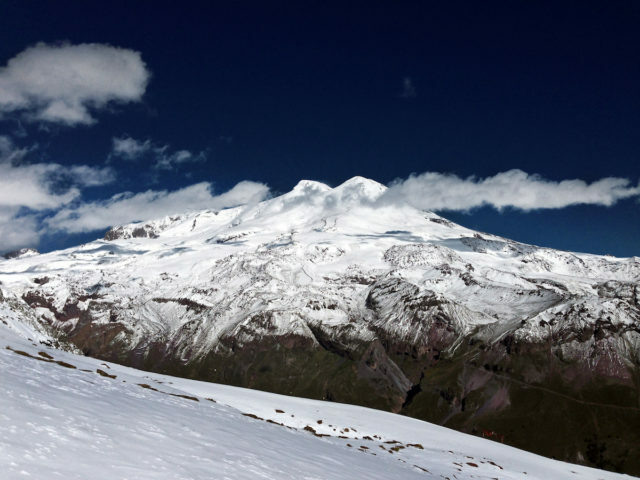 List of equipment for climbing mount Elbrus from the South. Wind and waterproof layer – Pants and Jacket. Gore-Tex, for example.